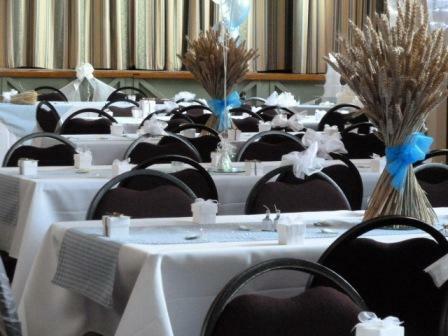 A beautiful building with a rich history – Tewin Memorial Hall can provide the perfect setting for your next event. Escape the office environment and use our business facilities for your next meeting. 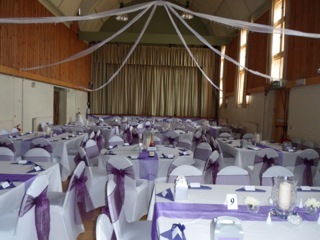 Set on a traditional picturesque village green, our imposing historic village hall makes an ideal venue for your wedding reception. Take advantage of our large hall, dining area and kitchen to create a party that your kids won’t forget. Recommended by yoga instructors, badminton players, art classes. Also ideal as a potential temporary sales venue for auctions and stock clearances. If you are looking for an ideal setting for your wedding reception, then Tewin Memorial Hall is for you. 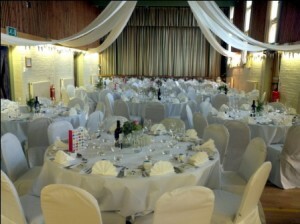 Located on a lovely village green with open fields at the back, the imposing main hall and adjoining rooms offer everything you need for your celebration at a reasonable price. If you require space, the large main hall can accommodate over 100 people. It has a stage with full lighting. In addition, the hall has WiFi, microphones and speakers plus a hearing loop. We have a bar area and modern kitchen, newly refurbished facilities, disabled access and parking for up to 30 cars. The substantial main hall with sprung floor and high ceilings makes this an ideal venue for use by sports clubs and exhibitions, as well as art classes, yoga, pilates and dancing.